Back by popular demand -- and newly updated by the author -- the mega-bestselling spiritual guide in which Marianne Williamson shares her reflections on A Course in Miracles and her insights on the application of love in the search for inner peace. Williamson reveals how we each can become a miracle worker by accepting God and by the expression of love in our daily lives. Whether psychic pain is in the area of relationships, career, or health, she shows us how love is a potent force, the key to inner peace, and how by practicing love we can make our own lives more fulfilling while creating a more peaceful and loving world for our children. weeks. 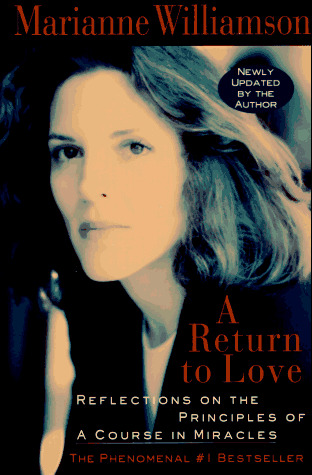 Marianne Williamson has published nine books which included four New York Times #1 bestsellers. She also appears on a weekly radio show on the Oprah & Friends channel of XM Satellite Radio.